Do we have a super-special treat for you today a-three-for-one on wedding bouquet recipes! 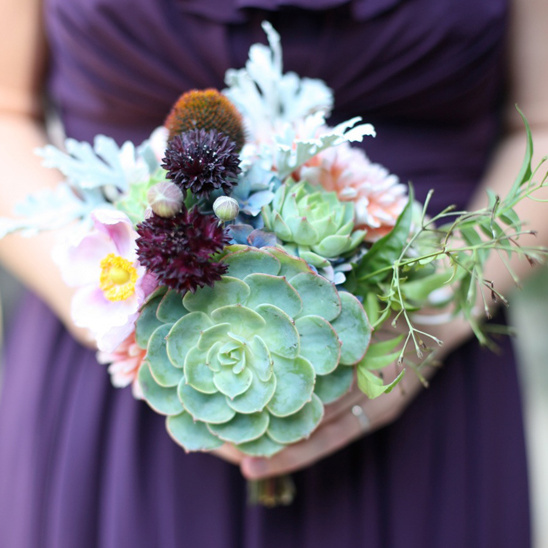 We're excited to share this lovely trio of succulent and dahlia bouquets created for the bride, bridesmaid and flower girl by Susie Nadler at The Cutting Garden in San Francisco and photographed by Diana Marie Photography. The stunning combination is dramatic and elegant, perfect for a rustic outdoor wedding or an evening ceremony. We have lots more bouquet recipes here. 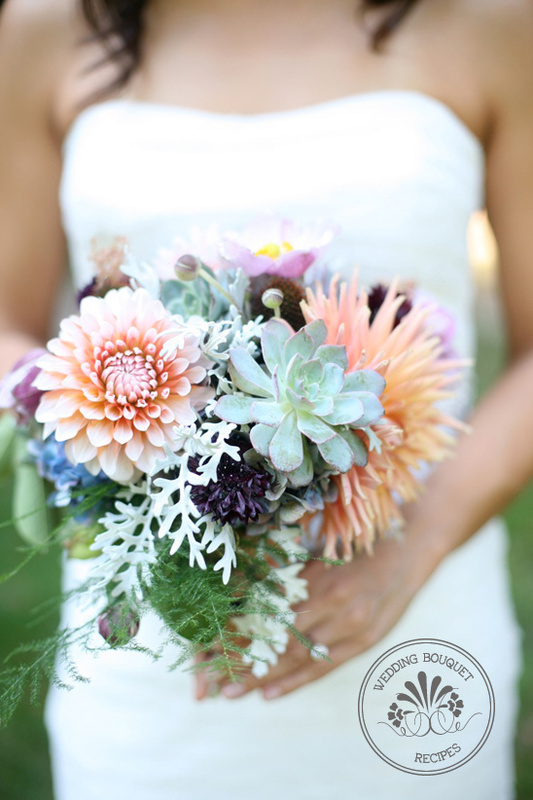 We are loving those gorgeous dahlias mixed with the Japanese anemones. They really pop against the eggplant of the bridesmaid's dress. 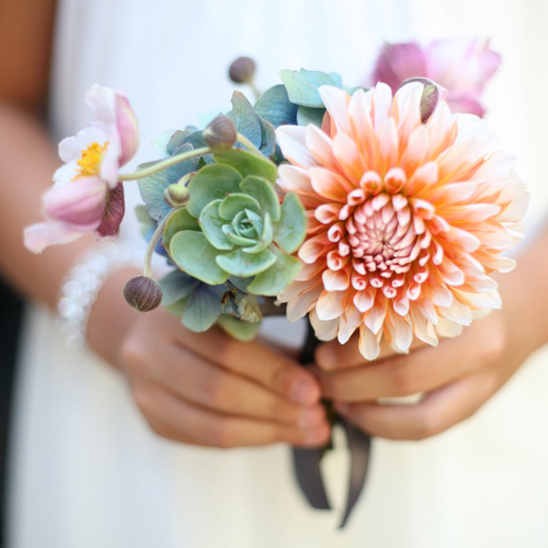 And how adorable is this flower girl's bouquet? Our thanks to Diana Marie Photography for sharing today's lovely.